Marjorie Lee is a prizewinner of the Kapell International, Washington International, and the Matthay Clara Wells Competitions, has served as an USIA Artistic Ambassador to Europe and a faculty member of Peabody Conservatory, and the Universities of Western Michigan, George Mason and University of Maryland. Dr. Lee has performed extensively in the United States and Europe as soloist and collaborative and orchestral pianist with Sergei Ozawa, Leonard Bernstein, Aaron Copland, Raphael Frübeck de Burgos, Mstislav Rostropovich, Alessandra Marc, William Warfield, William Parker and Rick Harrell, of the New York City Opera. Ms. Lee holds the Doctor of Musical Arts performance degree and has had the good fortune of studying with some of the finest pianists and teachers of this generation. Many of her pedagogical ideas have been inspired by her work with Jorge Bolet, Irwin Freundlich, Adele Marcus, Nelita True, Stewart Gordon, Eliot Breneiser, and of greatest influence, Roy Hamlin Johnson. 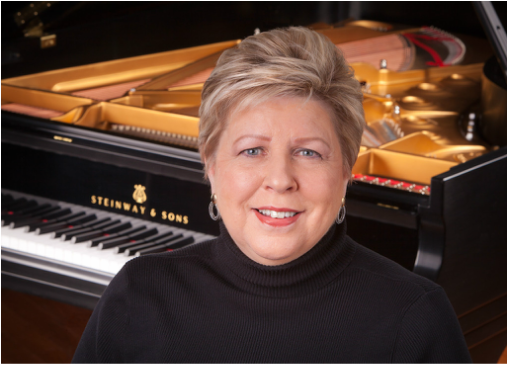 She holds the Music Teachers National Association’s Master Teacher certification and was chosen as one of five teachers nationwide to present a conference in on “Teaching Artistry” for Music Teachers National Association in New York City . She has been featured by Fairfax County Association for the Gifted on a program entitled "The Beauty of Music: Reaching for the Stars". Ms Lee is proud to be honored in 2018 as a MusicLink Teacher of Distinction, and a 2018 Yamaha Teaching and Mentoring Recognition. Her energies are devoted to her thriving independent studio where she seeks to ensure her students' lifetime active love of music! She has had four Music Teachers National Association National Winners and sixteen national finalists. Her students are winners in national and international competitions including Lee University Competition, the Kaufman Competition, the Kapell International Young Artists Competition, Stecher & Horowitz International Competition, the Liszt Garrison National Competition, New Orleans International Competition, Gina Bachauer Competition, Fischoff National Chamber Music Competition, Clara Wells Competition, National Symphony Orchestra Young Soloist Competition the Arts Recognition and Talent Search of the National Foundation for Advancement in the Arts, and have been named Presidential Scholars in the Arts.